This event has two options for participation. The first option is a Track Experience, and the second is Time Trials. It is being run under the 2018 SCCA General Time Trial Level 2 Rules. It is at Motorsport Ranch 1.7 configuration running clock wise . SCCA Track Experience (TE) are designed to concentrate on driver enjoyment, philosophy, and the application of performance driving techniques with an instructor. Track Experience are non-competitive – participants do not receive lap times. This event will limit the number of Track Experience participants to 20. SCCATimeTrials (TT) events provide a constructive learning environment that stresses proper driving techniques, while at the same time offering lap times. 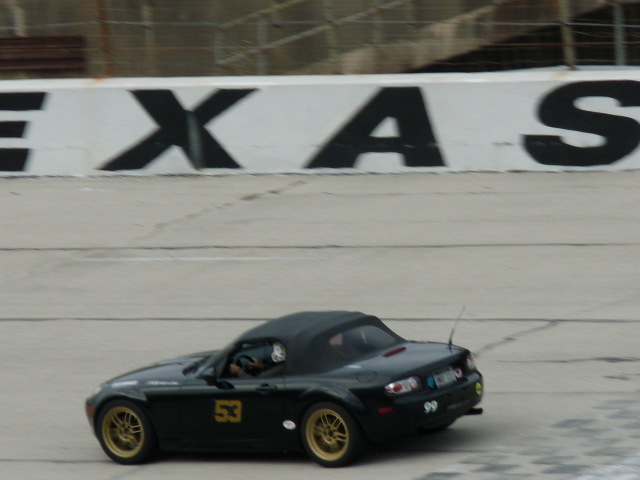 Additionally, in 2019 Texas Region SCCA is offering a Time Trials Championship series, where points are earned for each Time Trial throughout the year. * March 23 event at ECR has been canceled. Hargerty offers coverage for your vehicle while it’s on the track, unlike your standard insurance plan. TRACWRAP “STOP ROCK CHIPS and ditch that blue painters tape today by using TRACWRAP by XPEL. This temporary do-it-yourself paint protection film provides the same durability you’d expect from a more permanent clear bra, but with the ease of a do-it-yourself installation. TRACWRAP is an 8mil thick polyurethane film designed specifically to prevent rock chips and scratches during track days, autocross, road trips, transport, and more. We’re proud to support SCCA Texas by offering 20% off ALL TRACWRAP sizes. To order your TRACWRAP by XPEL with your discount, call 1-210-678-3700 and place your order over the phone. Be sure to mention promo code “SCCA Texas” for your 20% off TRACWRAP. TRACWRAP is available in the following sizes and prices. Pricing is BEFORE 20% Club Discount. 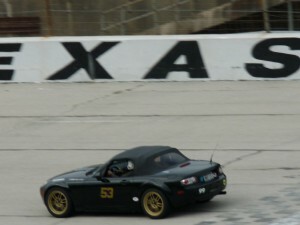 The SCCA Texas Region has brought together a fun and great way to take your track driving experience to the next level! If you have ever been approved as a Solo qualified driver for any verifiable HPDE or performance driving school, we welcome you to join us and drive your car to earn season points towards a championship. We are offering a fun way to drive on your favorite tracks, challenge yourself to earn your best lap time, and win season points. You supply the driver and car. These events are put together to create a fun and unique challenge. The season will consist of a minimum of 9 events. You will be able to earn championship points for your car. Winners are decided by fastest time around the track. *Your AMB transponder must be compatible with our timing system. If you’re not sure, please email Brad Flack (bradflack@earthlink.net) for clarification. 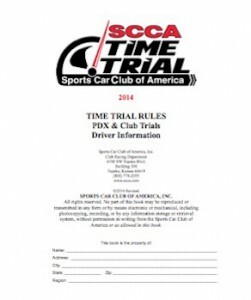 Time Trial events with the SCCA are divided up into 4 different programs. Performance Driving Experience (PDX), Time Trials, Track Trials, and Hill Climbs. The Time Trials program is designed to accommodate all types of cars. The PDX program provides an instructional environment for drivers who simply want to improve their driving skills and increase their enjoyment of driving their street vehicle. True to the “run what ya brung” adage, all it takes to be a part is your street car, a valid license and a helmet. PDX events are about you, the driver. Plenty of seat time, plenty of individual instruction and a ton of driving exercises make up a PDX; all of which is designed to educate you and make you more confident behind the wheel, both on the track and on the street. Participants receive a solid blend of driving instruction, ranging from the classroom to in-car training to “follow me” drills. A wide range of topics are discussed and shown at a PDX, including: following a “racing line”, passing zones, speed limits and other general driving techniques. Of course, each driver receives feedback from his or her instructor at the end of each lesson. PDX events are non-competition based. Why? Because the focus is on you. Three other levels of the Time Trials program provide competition, but it’s important that the skills taught at a PDX are learned beforehand so you as a driver can enjoy the latter levels of the program the way they were intended. When you’re ready to race against the clock, Time Trials is ready for you. The second level of the program, Time Trials builds on the instruction you received in the PDX while allowing drivers their first chance at competing against time. Competition classes are formed (with both street and fully-prepared race cars), and winners are decided by fastest time around the course. Street cars no longer cut it at Track Trials. Only cars prepared for Road Racing or Solo events are allowed as speeds and intensity levels are higher. The tier-three program offers closed-course track time, with competitions again decided by fastest time around the course. Full safety gear is mandatory as it’s just you, your car and a mountain road. Hill Climb events are run on paved mountain roads over short distances, and in the true spirit of racing, fast time wins. Do you and your car qualify for a Track Day PDX event? You must be at least 18 years of age with a valid driver license. Convertibles, unless they are equipped with a hard top or an approved roll bar/hoop, are not allowed, See exceptions. Cars with other removable tops like, t-tops, and targa tops must meet appropriate safety regulations. The following convertibles are approved. MINI Cooper Convertibles, 2002 Porsche Boxster, and the Honda S2000 have been approved by the manufacturer as having factory rollover protection. Should I do anything before I arrive at a track day PDX? Tech Inspection Form If you are not sure your car is ready for the use on a racetrack, we suggest you take your vehicle to a technician who is skilled enough to evaluate your vehicle for track use. This is important! Your safety and other around you depend on your car being properly prepared. Items like brake pads, brake fluid, and cooling systems should be in perfect condition. 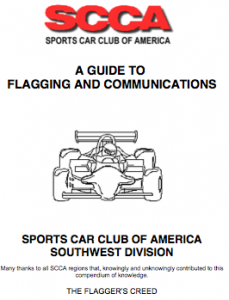 You should also familiarize yourself with “flags” that are used at tracks.